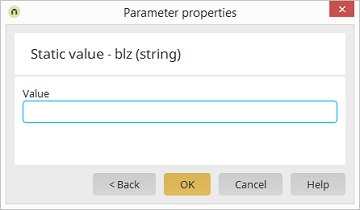 A static value can be defined as the input parameter here. For date values, please use the format yyyy-MM-ddTHH:mm:ssZ (such as 2007- 09-12T14:45:00Z). For boolean values, please use true or false. The value entered here cannot be changed via the browser.